Shirley Ivale Ritchie, 90 of Gladstone passed away peacefully on Monday July 9, 2018 in Portage General Hospital, surrounded by family. Shirley was born in Tummel Manitoba, and resided for periods of her youth in McCreary, Graysville, Winnipeg, Shilo and Grandview. 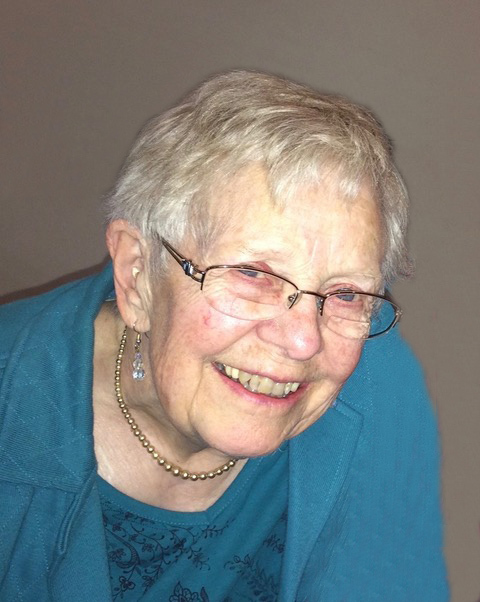 She trained as a nurse in Winnipeg, and then lived her adult life in North Battleford, Dauphin, Estevan and Biggar Saskatchewan before moving to Gladstone where she retired. Shirley is predeceased by father Earl Duncan McKellar; mother Lucille Elmyra (McKenzie) McKellar. She is loved and will be dearly missed by many, including her sister Helen Tefs (McKellar) of Gladstone; brother Bruce McKellar of Vancouver; her children: Linda Kulkarni of Smith Falls Ontario, Laura Dumont of Regina, Saskatchewan, Mary Lou Brisco of Quesnel British Columbia, and Michael Ritchie of Battleford, Saskatchewan; her 13 grandchildren and 14 great-grandchildren. Shirley enjoyed life thoroughly. She was a retired nurse and professional photographer, a passionate artist, gardener and community volunteer. She especially savored her years in Gladstone where she lived life fully. Gladstone embraced Shirley, and she embraced the community. Among other contributions, she volunteered with the Museum and Access Cable. She was an active and passionate member of many groups, including the art club and Red Hat Society, and enjoyed activities such as clogging and square dancing. The community will remember seeing Shirley on her scooter with her pet and companion Abby. Shirley was resolutely independent and lived in her house until recent, and then in Centennial Apartments. Shirley was especially grateful to her care givers and her support network, including friends and neighbors who watched out for her and were always generous with their help. Special thanks to Gladstone Senior Support and the staff of Centennial Apartments. In lieu of flowers please donate to the Stephen Lewis Foundation (African aid) or the Nature Conservancy of Canada. Shirley will live forever, through her legacy of inspiration and care for her family, and in their hearts and those of her friends, and in the memories of all knew her.